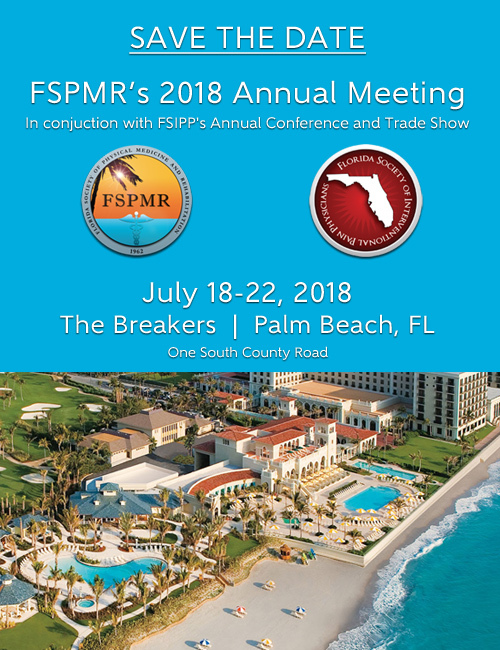 Special Note for Residents and Fellows: For FSPMR’s 2018 Annual Meeting, there will be a $50 “friends and family” discount for fellows and residents….this is not advertised. For detailed instructions on how to register at that rate, please contact Michelle Byers, FSIPP Executive Director, director@fsipp.org. Further, they are accepting abstracts too, and Michelle can give more information to those who are interested. This activity has been approved for a maximum of 22.25 AMA PRA Category 1 Credits™ . View these Presentations from our state’s PM&R Residency Programs which were given at Annual Meeting. The Hilton New Orleans Riverside, Grand Salon D, Section 22. Click Here to take a look at FSPMR’s Friday Workshop and the rest of the program. At this year’s Summit, we will welcome industry experts and relevant leaders from around the nation to share their experiences and insights on how Florida leaders can be better prepared to deal with the ever-changing health care landscape our state will traverse in the foreseeable future. This course will serve as the fourth in a series of musculoskeletal ultrasound courses. The focus will be entirely on MSK ultrasound of the foot and ankle. It is designed for the physical medicine and rehabilitation clinician currently performing ultrasound imaging or wishing to expand his or her capacity to incorporate ultrasound imaging into the practice. Who: Dr. Stuart Kahn traveling from The Mount Sinai Hospital Spine Center New York, NY for the first PM&R Grand Rounds of 2016. “Pain Regulations in the 21st Century: What the DEA Wants You To Know” will be presented by Richard Tucker from the Drug Education Consulting Group. Go to www.southernpainsociety.org to view the brochure, register, and get full details. 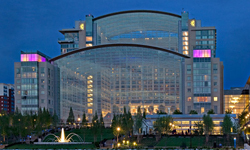 Check Out the OMED 2015 Preliminary Program! With inspiring general sessions, cutting-edge CME and networking opportunities galore, OMED 2015 promises to be an incredible event. Go to FAPM website for more info. Click here to view the Topics, Speakers, Accreditation and Directions to the venue. 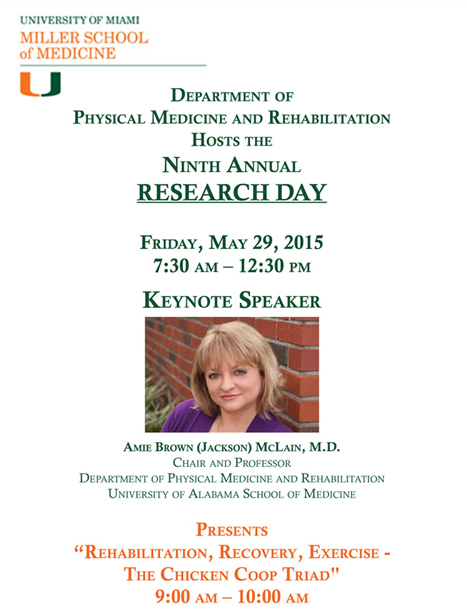 Residents and faculty members of the department will also present ongoing research projects. Note: CME credits will not be provided for this event . For additional information please contact Coretha Davis at 305 585-1431 or cdavis@med.miami.edu. No RSVP needed but suggested. 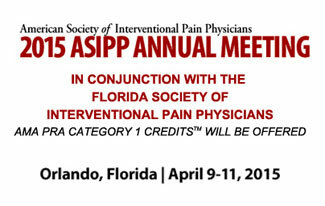 The American Society of Interventional Pain Physicians' (ASIPP) 17th Annual Meeting, Embrace the Future: Survival Strategies for Interventional Pain Management, in collaboration with the Florida Society of Interventional Pain Physicians will take place in Orlando, Florida on Thursday, April 9 through Saturday, April 11, 2015 at the Loews Royal Pacific Resort at Universal Orlando®. April 11, 12:30 – 3:30 PM. 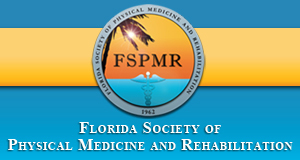 FSPMR's Open Board Meeting, is at 6:00 PM, followed by dinner at 7:00 with a short presentation from St. Jude Medical, who is the sponsor for this event. 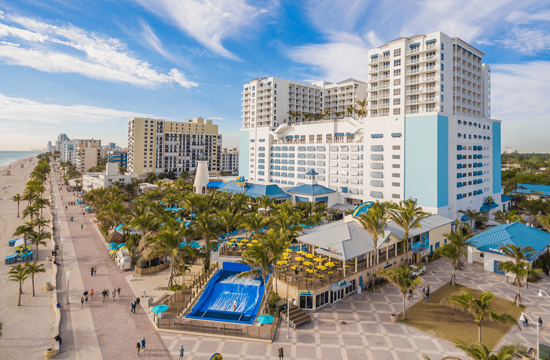 After St. Jude, Dr. Randall Braddom will be presenting “Current Diagnosis and Treatment of Complex Regional Pain Syndrome.” The whole event is in conjunction with the University of Florida’s Running Conference, to be held at the UF Hilton. Please RSVP to Executive Director, Lorry S Davis MEd, lorry4@earthlink.net, for the dinner and program. Safety in Adolescent and High School Sports Medicine: Where Are We Now? Please see the attached flyer for details….featuring Dr Randall Braddom. 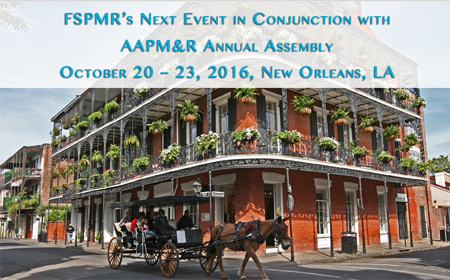 FSPMR will be meeting in Washington, DC, during the 2013 AAPM&R meeting at the Gaylord National Hotel & Convention Center on October 3-6. All those interested in attending please RSVP to: Lorry Davis. 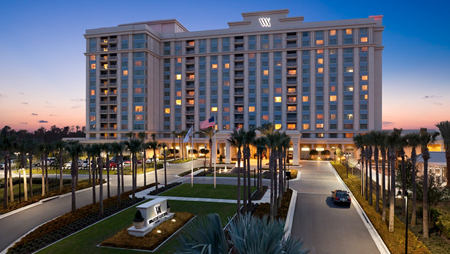 The 2013 Annual Scientific Meeting and Conference will return to the beautiful Hyatt Regency Grand Cypress Hotel in Orlando on June 28-30, 2013. Registration is now open for the 68th annual Workers’ Compensation Educational Conference (WCEC), the largest gathering of its kind in the nation. 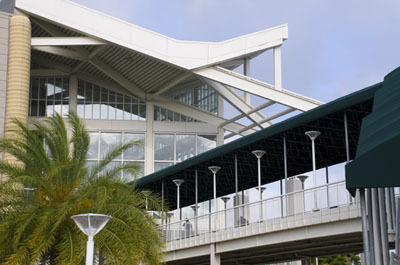 Attendance at the August 18 - 21, 2013, convention at the Orlando World Center Marriott is expected to top 8,000, drawing participants from across the nation and a number of foreign countries.